Steam vehicles abound, and it's marvelous! Are you a fan of the steampunk aesthetic? 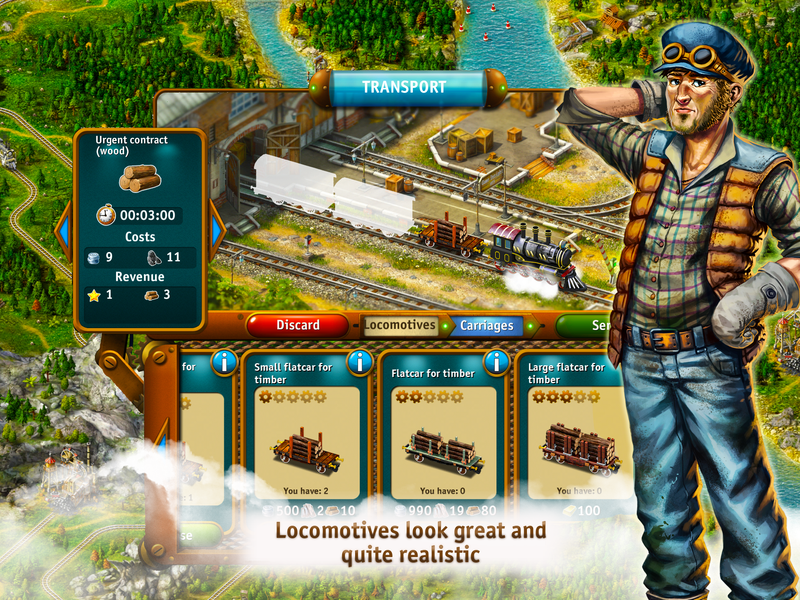 You'll want to have a look at Transport Empire, released today for Android devices everywhere. Set in the Victorian era, this delightfully different title finds you in charge of a transport network built for steamboats, trains, and airships. Just like Bioshock Infinite -- except you can actually control where these vehicles go. It's not often we see this type of game, so it's definitely worth checking out, especially for the low price of free. The trailer above certainly makes it look interesting. Are you ready for some steamboat shenanigans? You can download Transport Empire for free from the Google Play Store here.